The Alsace-class battleships were planned to succeed and enlarge the Richelieu class. The design planned for an improved Richelieu design with three triple or quadruple 380mm turrets (two fore, one aft). Six names were proposed, and two had to be chosen from this list: Alsace, Normandie, Flandre, Bourgogne; two more units were not given names. The laying down of the lead ship of the class, Alsace, was planned for 1941; with the Fall of France in 1940, none of the ships were built. 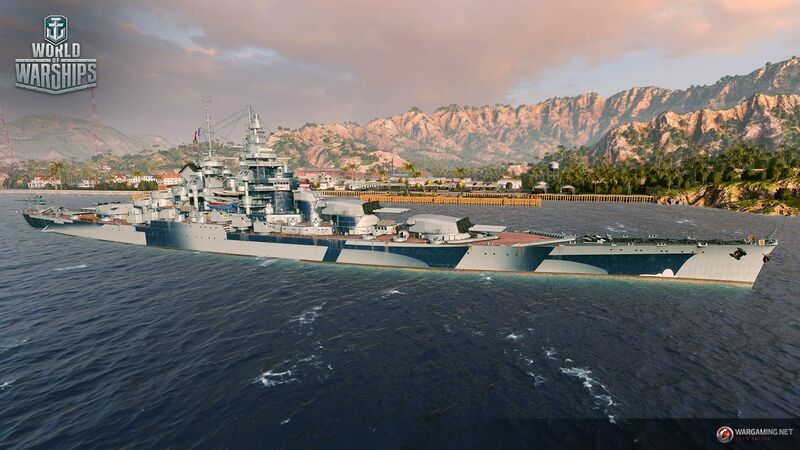 Alsace will be a regular Tier IX battleship. All stats are listed without crew and upgrade modifiers, and are subject to change before the final release. Is it just me or the barrels of the main guns look shorter than on the Richelieu?